rob55rod wrote: They're both skin-based editors, so yes, that would work, although I currently have no intentions of doing so. 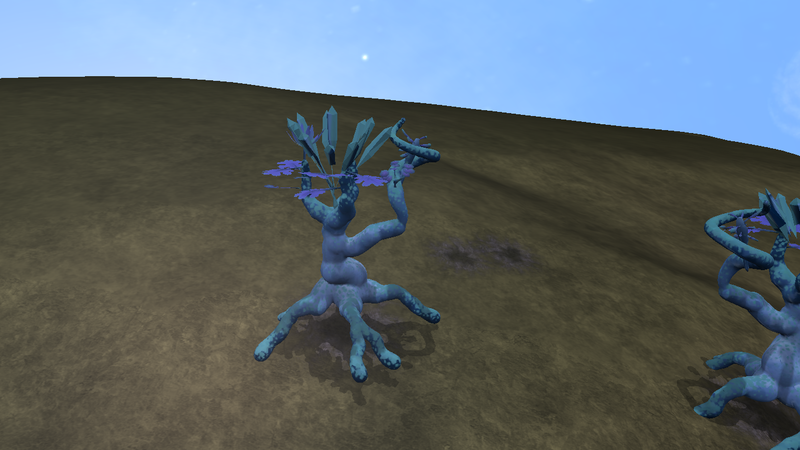 Aw darn, I would love to use some of those wacky branch parts for limbs. 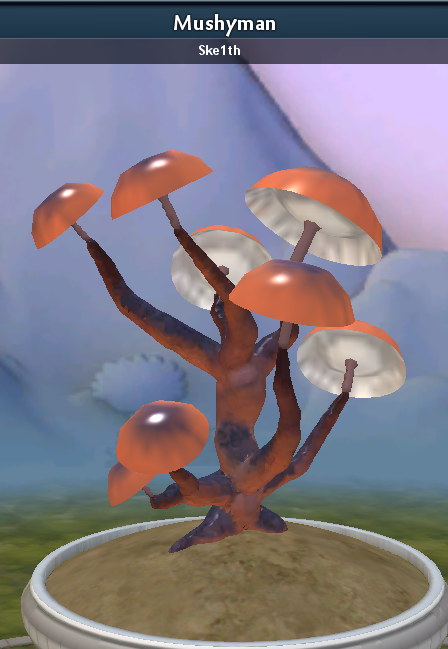 The decorative parts could pretty much only be used for plant creatures though, which could still be interesting. However, your mod, your choices. It sounds like you're doing the job of what would take a team to do with this mod. Pretty much the only issue is the invisible part problem (and the easily avoidable crashes I guess) so don't get too discouraged. There's some real progress here and it could lead to the production of even more mods. I wish you luck. If there's any way I can help I will. Well if this needs a team, does that mean DI needs an AAA studio...? 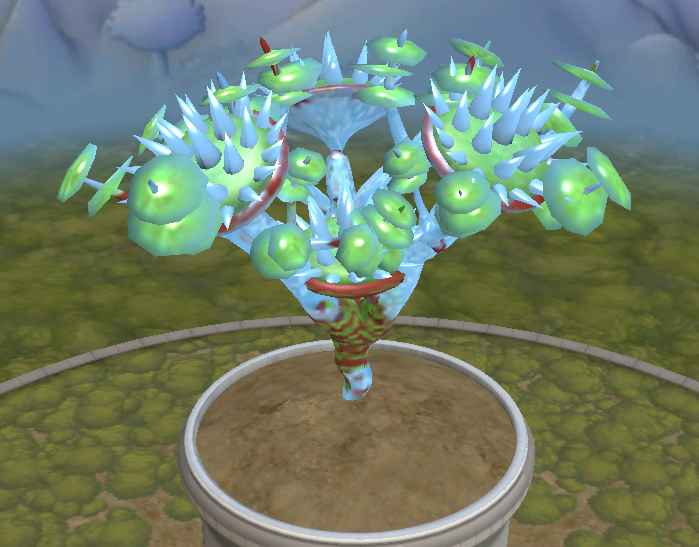 I got the plants spawning in the game (I don't know how) but, they have a game-breaking collision box. My creature can't walk even remotely close to any of the plants and when they are near your nest it can mean you can't evolve. ThatDemonDavid wrote: Obviously, but these creations were not tagged with gaprop. 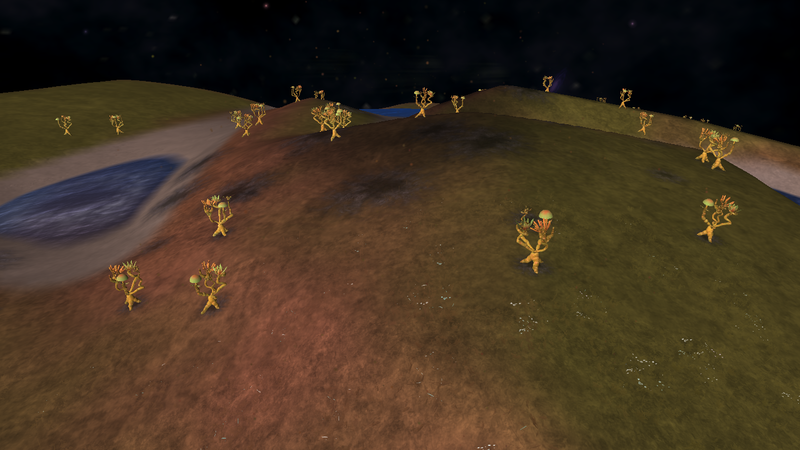 In fact, they spawned on my homeworld. 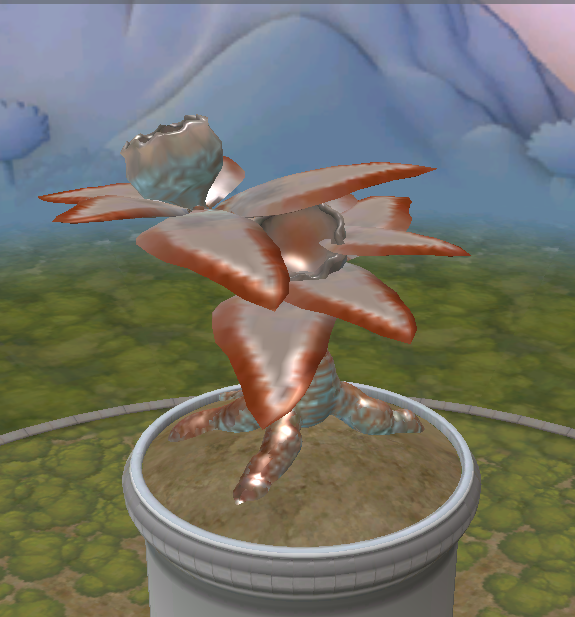 The custom plants (probably) weren't selected for use when the SoL was used by David. A few more plants, the PNGs are glitchy. Hello there! Not sure if this is still being developed but I decided to try this baby out and oh man... It's such a huge improvement to the old mod from years ago! I'm so impressed by the modding community and what they achieved from one of the buggiest most broken and glitchy editor artifact in the game. Thanks Rob for improving upon what Davo had started! I played around with the editor for a while and made a bunch of creations from all sizes to check for what causes a crash, what's buggy, and what's working. I had actually opened up a notepad file to note down all my reasons for crashing, and what bugs I encountered. I think a few of these were mentioned before and I assume you are aware of some of these. Seems to be the size of the editor area. Upon further inspection this may be invisible parts taking a lot of unintended space. Ocassionally this issue does not occur. -Attempting to edit a maxis plant changes the editor background to the Aircraft background. -Mirroring bug (Large flora & small flora) seems to happen only when you change the root of the plant, but needs more time for confirmation. What was I doing that caused a crash? This caused a lot of visual bugging out, and once I attached the final segment together the game crashed. 2: (Large Flora) Idled for a moment after applying the maple leaf once. 4: Same reason as 3, removed starter root and caused instacrash guaranteed. Hopefully these will be useful for the future? Even if this may never be finished, I am glad I can still enjoy what we have so far properly! seems my shenanigans never end, somehow I'm on the wrong forum account. speedcow wrote: Hello there! Not sure if this is still being developed but I decided to try this baby out and oh man... It's such a huge improvement to the old mod from years ago! I'm so impressed by the modding community and what they achieved from one of the buggiest most broken and glitchy editor artifact in the game. Thanks Rob for improving upon what Davo had started! Well...the mod still has a loooong way to go, but it's really nice to see people enjoying what we've accomplished so far. speedcow wrote: I played around with the editor for a while and made a bunch of creations from all sizes to check for what causes a crash, what's buggy, and what's working. I had actually opened up a notepad file to note down all my reasons for crashing, and what bugs I encountered. I think a few of these were mentioned before and I assume you are aware of some of these. Very much appreciated, they most likely will be of use. Not bad...those look like they'd fit right in. speedcow wrote: Even if this may never be finished, I am glad I can still enjoy what we have so far properly! ...not sure what account this was meant to be posted on, but if it's any reassurance...this post just made my day. Can you fix the collisions? I like this mod a lot but I usually go back to Davo's Flora mod because it has working collisions. When I remove the gaprop tag the plants in this have very large hit boxes. ThatDemonDavid wrote: Can you fix the collisions? I like this mod a lot but I usually go back to Davo's Flora mod because it has working collisions. When I remove the gaprop tag the plants in this have very large hit boxes. This bug applies to the creature stage and adventures. I've found a game-crashing glitch with this mod which occurs in the Space Stage, hoping you can fix it. 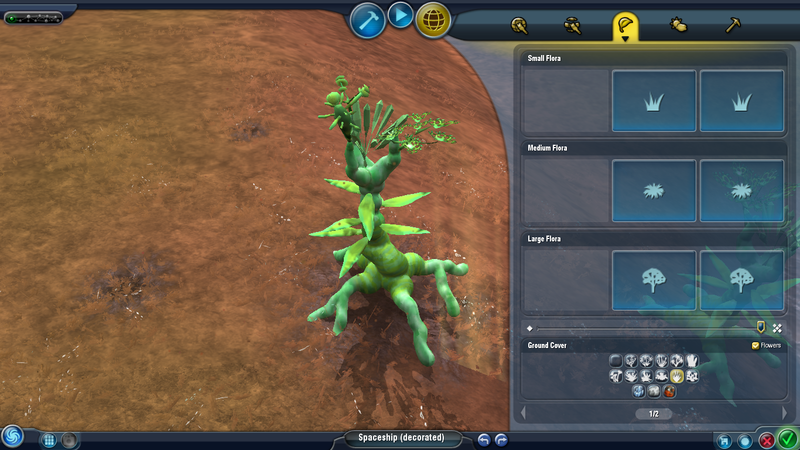 Whenever this mod is installed, Spore will crash when scanning plants. 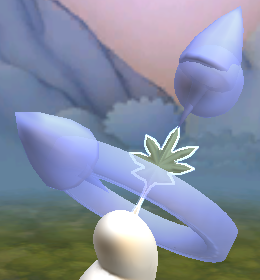 I have no idea why this happens, but even if you don't have any custom plants, it still crashes. I think it's pretty obvious that I'm not really experienced with this editor yet. I cannot find this mod since MEGA.nz was shut down could someone provide me another link? 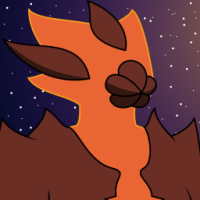 Enderjed wrote: I cannot find this mod since MEGA.nz was shut down could someone provide me another link? MEGA wasn't shut down. I can still access it. I don't know how to help you, though. Try searching online to see if anyone else has the same problem. Because there's been no update in a while, I decided to make a small addon for this mod which simply allows people to make tall plants in the large flora editor. 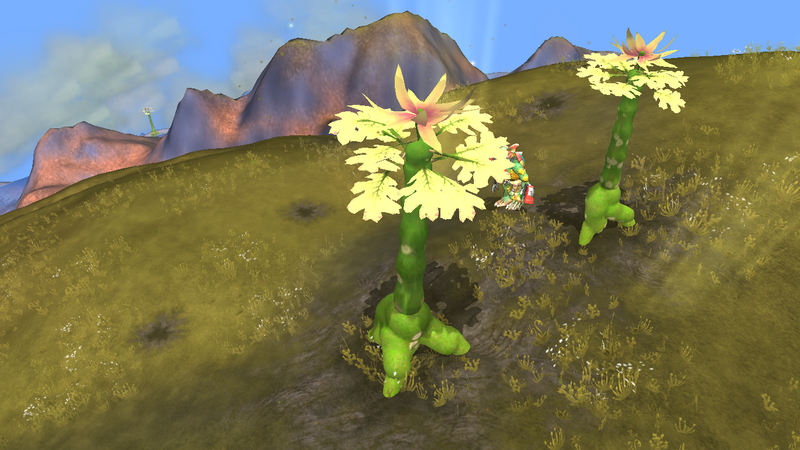 EDIT: It now also adds the plant parts from the creature stage! 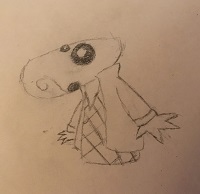 Last edited by VanillaCold on Sat Mar 16, 2019 5:41 am, edited 1 time in total. I'm already excited for this update! Keep up the good work! VanillaCold wrote: I'm already excited for this update! Keep up the good work! Appreciated. I'll admit, none of my other projects have the sheer ability to burn me out that Branching Evolution has, hence the slow progress. That said, I'm still doing what I can. 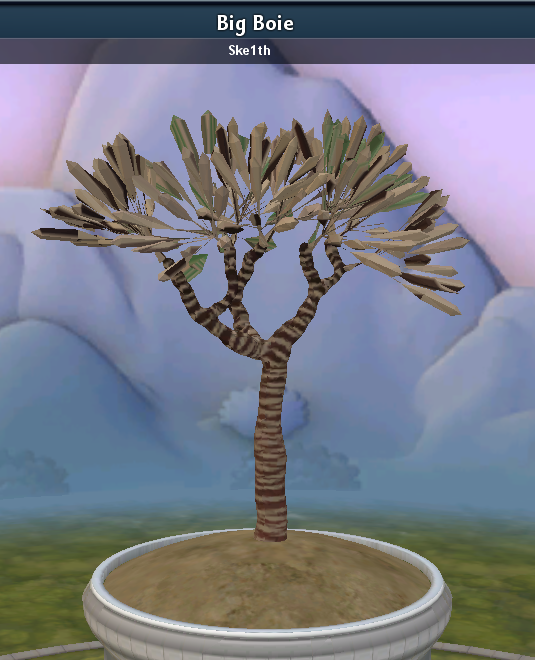 My hope for Branching Evolution is to create the Vanilla Flora Editor we never got. I'm striving to stay faithful to what I believe Maxis would have done, had they not decided to abandon the Flora Editor entirely. This is why I trisected the editor - from what I've observed, back in 2006, Spore didn't have such clear divisions between its many editors as it does now, so for example you'd have only Land, Sea, and Air vehicle editors, rather than the further subdivision into Military, Economic, Religious, and Colony variants of each we have now. 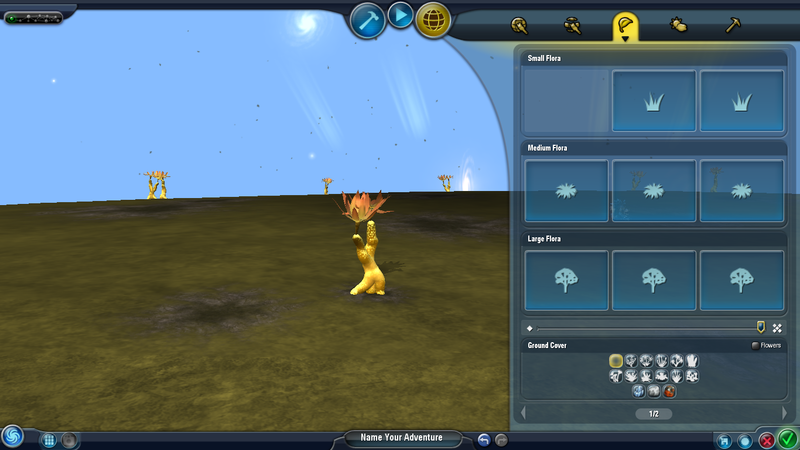 As such, it only seemed right that the one Flora Editor Spore had back then would be separated into the three Flora Editors Branching Evolution gives us now. 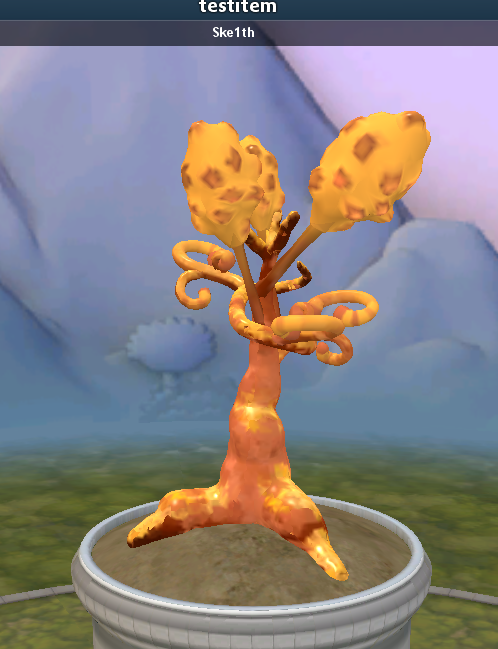 Once I achieve this goal, my hope is that other mod developers will take interest in creating mods for Branching Evolution, as if it were part of the base game. VanillaCold, you are the first to do this. Strange as this may sound...thank you.